Thinking of taking a break from the daily grind and getting away for a little bit of recreation and relaxation? When the holiday bug bites, our first thoughts are often directed to destinations beyond New Zealand’s shores. However, there’s really no need to go far for a memorable break; a vacation in New Zealand is all you need. New Zealand is a country of awesome majesty and great variety – and visiting ‘locally’ can also be great for the budget. No matter what you preference, there’s something for everyone on these shores of ours – from vibrant city escapes to laidback countryside excursions, food and wine discoveries and adventure activities. When it comes to things to do, New Zealand really does have it all. October is the second month of Spring and is a beautiful time to vacation in New Zealand as the countryside is flush with trees in bloom, new green grass and baby lambs. With daylight savings having kicked in at the end of September, there’s a lot more hours of sunlight too – by the end of October, the sun will rise around 6am and set around 8pm, giving you a solid 14 hours of daylight. Nice! Although there are school holidays in the first half of October, the full-on Summer holiday rush is a few months away so crowds are few and far between and accommodation is still relatively easy to find. The Labour Day long weekend at the end of the month is a great opportunity to add a few ‘leave’ days either side of the weekend and make the most of this glorious time in New Zealand. Given the fact that Spring is the time of year when the weather starts to stabilize for summer, you should expect variable weather, so not all activities and destinations around the country are going to be without their little meteorological ‘surprises’. However, the days tend to be fresh and pleasant, without any of the oppressive humidity of summer. Temperatures on the North Island will fluctuate between 4 and 25 degrees, with the upper North Island and the East Coast likely experiencing the warmest daytime temperatures. Temperatures on the South Island will vary between -2 and 25 degrees, with places like Christchurch and the Marlborough region likely experiencing the warmest daytime temperatures. On the average, however, upper daytime temperatures during October will range around 19 degrees in the north and 16 degrees in the south. However, depending on where you head in October, it’s wise to be prepared to deal with anything from blazing sunshine to pouring rain and possibly even snow. Just make sure you check the weather reports and plan your routes and activities accordingly. October is a great time for going on a road trip. Generally, driving in the North Island in October presents no real problems, but in the South Island, you should still be wary of black ice early in the morning and late at night in shaded areas. Given the wetter weather, Spring is also the ‘waterfall season’ when the country’s falls multiply with magnificent effect. This makes it really a most impressive time of year for taking a drive through the Milford Sound region of the South Island – but any other area where there are waterfalls holds the promise of spectacular sights. Another popular activity other than sightseeing is visiting gardens to see the spring blooms. Places like the Christchurch Botanic Gardens and Hagley Park and the Wellington Botanic Garden, in particular, are a delight of colour, but fruit-growing areas throughout the country are bedecked in blossom, making for spectacular vistas. October is a great time for walking or hiking. As it’s not a very busy month outside of the school holiday period, it’s the perfect time to visit locations that tend to get busy during summer. Places such as Tongariro National Park where you can do the famed Tongariro Crossing or the Abel Tasman National Park and the Marlborough region of the South Island, where a multitude of spectacular walking trails abound. And in the skiing areas where conditions are still favourable for snow, and if the ski-fields are still open, October will be your last opportunity for some skiing or snowboarding action. Rest assured though that no matter where you go for a vacation in New Zealand in October, there will be plenty to see and do, all without having to contend with the tourist pressure of the Summer. If a vacation in New Zealand sounds like something you would be interested in, why not talk to your travel specialist at the Luxury Holiday Company, we have the best travel deals for all our clients. 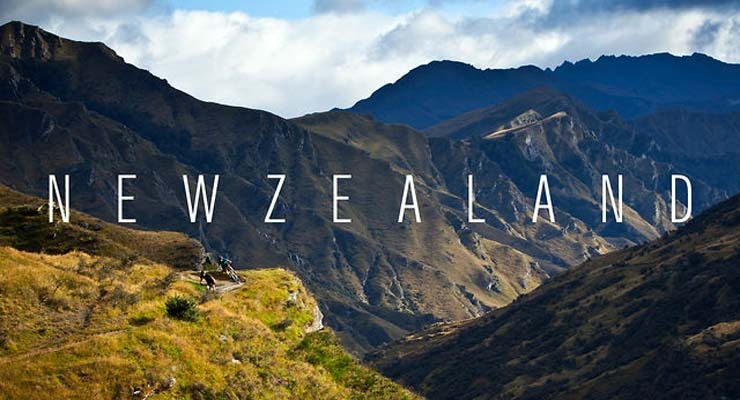 Get in touch with us today for inspirational ideas of things to do in New Zealand and places to visit this Spring in New Zealand. Contact Carolyn now to start your holiday conversation. The Luxury Holiday Company – The fine art of travel. Talk to your luxury travel specialist at the Luxury Company for the possibilities the world offers you. Make sure you don’t miss any of the amazing travel deals we are privy to – sign up to receive our weekly specials delivered right to your mailbox . Like to see our Specials? Whilst we select only a few to publish on our website, our luxury travel specialist is available to put together the best value deal for you, drawing from both her extensive personal travel experiences and her contacts within the industry. Carolyn will craft a customized memorable holiday or perfectly executed business trip for you. Conditions apply. We are always are able to provide you with current travel choices. Call our travel agent today to start your best value travel quote.